It supports not only XML but also JSON and FO files. You can expand or collapse nodes in your XML files for better view. You can convert XML to JSON. 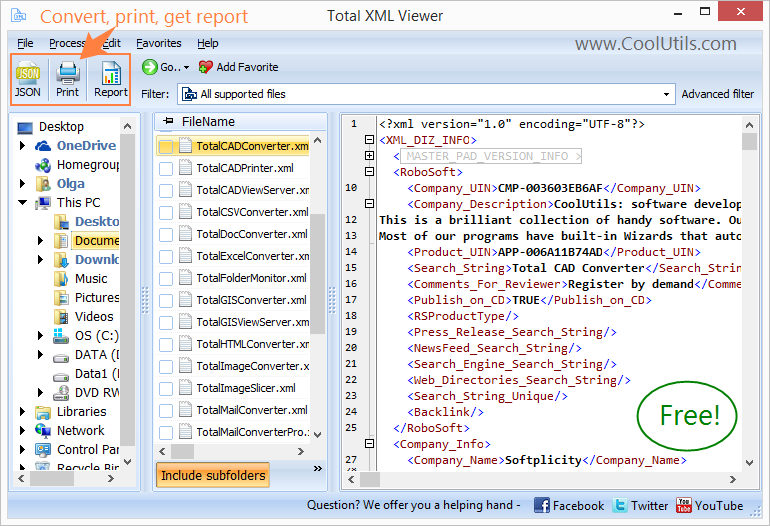 The app can print your XML, JSON and FO files or produce full reports about them. Coolutils is a well-known file converters developer since 2003. That's why we offer all our viewers absolutely free. 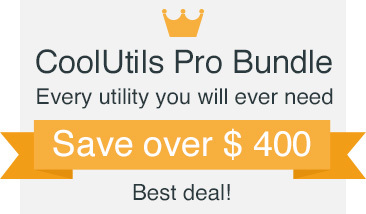 No built-in purchases, no unwanted toolbars or annoying advertising. Just download your free XML viewer now and enjoy the simplicity of the app. If you want to convert XML files to CSV or PDF, feel free to try our Total XML Converter. 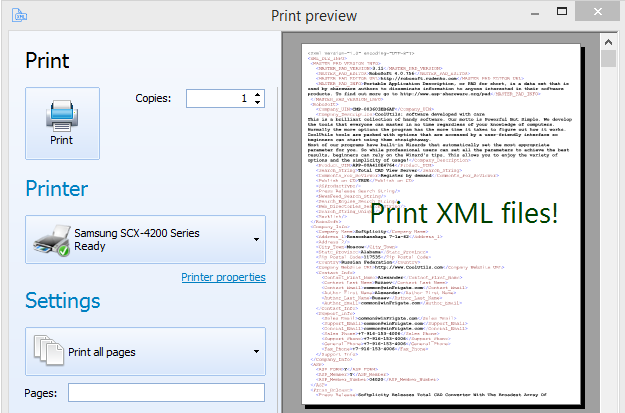 "As very basic tool to view and print XML files. It does not do more than that but it works smoothly even with my large XML files. Keep the good work, thank you." 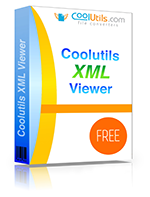 "Coolutils XML Viewer saved me a lot of time. I tried several other apps, but they were either paid or installed some crap on my pc. This viewer was perfect for me, free and clean."